Order in for delivery on * Wednesday 24th, April * * Indicates: Delivery on the next business day must be selected when the order is finalized. Those frequently on the move with an active lifestyle will love the sporty look of the Lacoste watches in this collection. 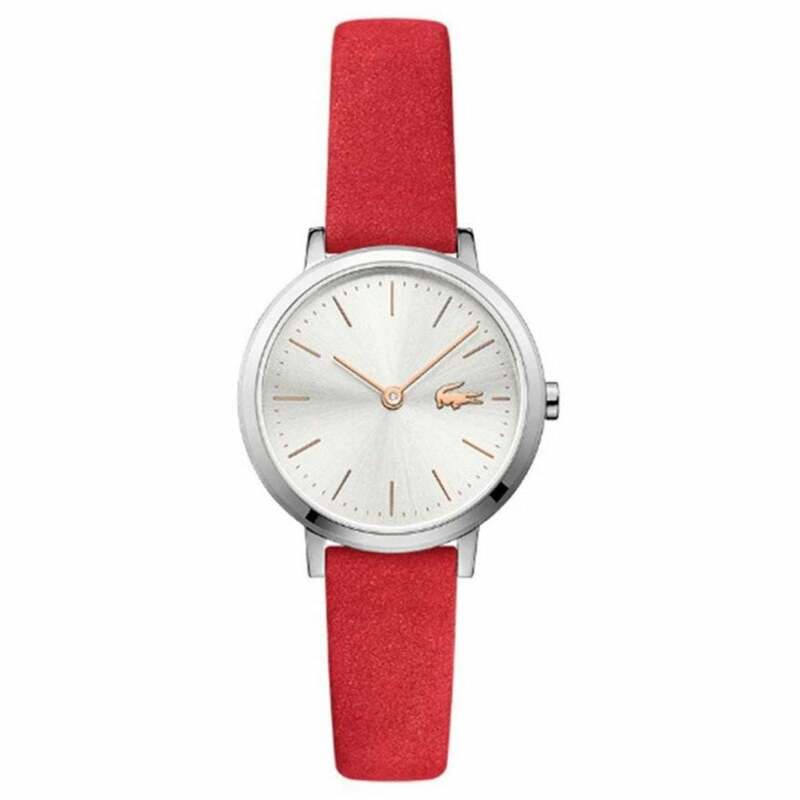 Wrist straps come in rubber or steel for different looks and there’s plenty of colours to choose from in this inclusive range Lacoste watches for men and women. You’ll find watch designs varying from athletic to sleek which can be interchangeable day and night wear. The Lacoste women’s watches include the Victoria watch line with stunning gold stone set dials with the infamous crocodile Lacoste logo in a fashionable faded gradient finish. Our selection of Lacoste men’s watches include water resistant designs and classic look watches with stainless steel straps for a sophisticated look. All watches come with a 2 year manufacturers guarantee for ultimate peace of mind. Here at Hillier Jewellers we are dedicated to providing our customers with stylish accessories that will compliment any outfit, and our ranges of men’s watches and women’s watches certainly deliver with their exceptional designs. Highly functional with reliable performance, minus the compromise on style, our designer watches also make for classic gift options for those seeking something special as a present.